where they want to lose weight. You start dieting and working out and start to see some changes in your physique. But then everything comes to a screeching halt. Your weight loss stalls out. Cravings start creeping in and your appetite seems to pose a constant problem. Your diet keeps changing but nothing seems to work. It feels like you’ve run into a brick wall. Well, at Body Elite Nutrition, we’re glad to tell you that the answer is a resounding Yes. 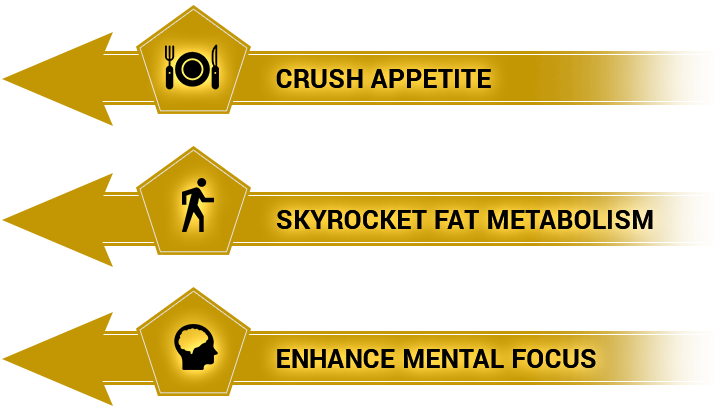 Simply put, yes; CTI™ isn’t your average fat burner. It was carefully pharmacist formulated and tested to tackle fat loss from a number of angles. Our R&D team spent months searching around the Globe for the perfect combination of ingredients to create a balanced formula designed to aid in fat loss and we feel confident in saying we put together a complete thermogenic powerhouse. Since the end of DMAA, sports nutrition has been in search of the next big “energy” ingredient. DMHA has definitely delivered on that front. It is a stimulant that can increase dopamine and has been shown to promote a euphoric feeling in users, making it a great addition to any product for mood, energy levels, and appetite suppression. L-carnitine has long been cited for its fat loss and performance benefits. However, free form L-Carnitine lacks the bioavailability of some of its other forms, such as Acetyl-L-Carnitine. Where most formulas come short however is their dosing; you can never have too much! Green Tea Extract is a non-stimulant powerhouse. Adding Huperzine A to CTI was an easy decision because of it’s intense ability to increase cognitive performance, memory, alertness and focus. Huperzine A helps by increasing the amount of acetylcholine in the brain, this allows electrochemical signals to flow quickly throughout the brain. our Metabo-Burn Matrix™ will have you losing weight while feeling great in the process. From boosting energy levels and mood to improving caloric expenditure and fat utilization, CTI™ is your perfect thermogenic solution. These statements / products have not been evaluated by the FDA. This product is not intended to diagnose, treat, cure, or prevent any disease and we urge all customers to consult a physician before using any supplements, herbals or medicines advertised here or elsewhere.